I went to a St. Louis Blues game with a friend recently and the team scored 4 or more goals, so everyone with a ticket stub got a free McDonald's Big Mac the next day! I showed it to my friend who had stayed behind and his reply was inspiring. 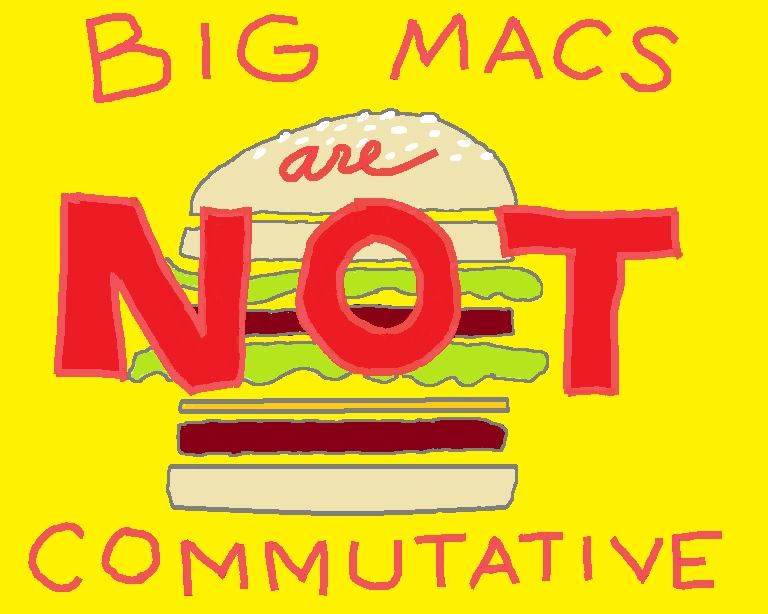 "Big Macs are NOT commutative." This image will be posted in my classroom as a playful reminder to always be considerate of those operation rules.